Wow, is it already 2019? How did that happen? I hope all of you are celebrating in a meaningful way. I have small children, so we will be ringing in the new year with some treats, maybe a Disney movie, and a living room dance party. So, pretty much like any other night. I’m not sure if it’s the teacher in me – but I absolutely love reflecting each year and remembering all of the things we did, didn’t do, and would like to learn from for the coming year. What that means for the blog is that I’m going to do a series of reflection posts that focus on my favorite purchases of 2018 in 4 categories: Beauty, Kids, Home, and Style. For now, let’s get ready for some great beauty buys. This was a really fun beauty year. I wasn’t dealing with any pregnancy limitations on what I could use, plus as my kids became a bit more independent, it freed me up bit to have a little more time to try new things. 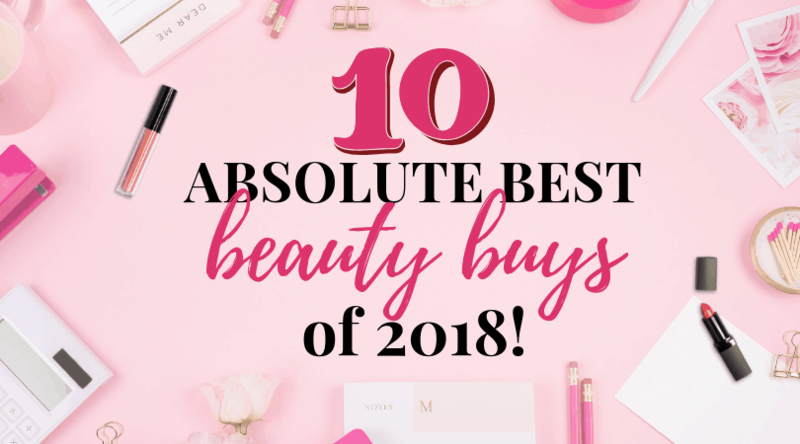 I feel like I can confidently narrow down everything I tried this year to these 10 best buys in the beauty category. Bam! Right outta the gate! Starting with the big daddy! My obsession with DE started when I started reading about their formulations and how they avoid a lot of the chemicals that can cause irritation, both externally and internally. I try to be mindful of such things. But, the price held me back. Until they came out with The Littles. 8 gorgeous, generously sized sample products for under a hundred bucks. I loved them so much (and wrote a full review here), that a few of them kicked other products out of my routine and became frontrunners. Then, I got the Drunk Elephant Babyfacial deluxe sample in my Allure Beauty Box and it was absolute love at first try. Seriously lives up to the hype. 2. T3 Single-Pass Curling Iron, 1.25in. Wow, I just did NOT know what I was missing! I’ve been curling my hair for years – and using whatever curling iron was on sale or looked cool – and replacing them every couple years or so when they died or started melting. You know, the usual. A year ago, I finally splurged on the bodywaver everyone raves about during a sale – but it was so heavy, my wrists hurt when I finished my head. This is the same reason I don’t use a clampless iron, even though I love the results . Then, the T3 single pass went on sale for the Nordstrom Anniversary Sale. I was rarely curling my hair at that point because my cheapo one was ripping out hair #TrueStory #Ouch. So, I bought it. an WOWZA. 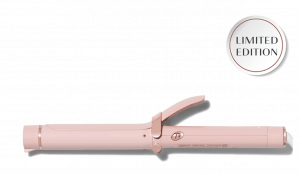 This baby is lightweight, curls fast, heats up and cools quickly, never rips out hair, and is cute to look at. It’s so much more than any other curling iron I’ve had before. I actually look forward to curling my hair now. I love it so much, I’m a little sad I didn’t get the convertible so I could try different types of attachments. I also have the hot rollers– which totally rock. Next year, I want the hair dryer. It’s happening. #BookIt. I cannot tell you how many eyeliners I have tried over the years. 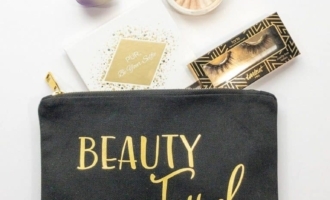 Then, when my autoimmune disease kicked it up a notch and caused a bunch of eye issues – I had to start all over finding eyeliners that I could even stand to wear. I really thought the days of trying new eyeliners was over. Then, I got this LA Splash Art-Ki-Tekt Liquid Waterproof Eyeliner in Chromate in my December Allure Beauty Box (review coming soon). But – OH. MY. GOD. – this is UH-MAZING! It is the most amazing liquid eyeliner I have ever tried! I have actually always preferred a kohl pencil – even all my years as a makeup artist back in the day – I just never got attached to liquid eyeliner. I AM OBSESSED WITH THIS EYELINER. And, if you’re nervous about the waterproof thing – don’t be. I use sensitive, gel based cleansers (this is my fave) and it comes off with minimal effort. If you are even slightly curious about trying liquid eyeliner, or a seasoned pro who will ONLY have the best – give this one a shot. Priced under $15 – why not? I think you’ll love it. 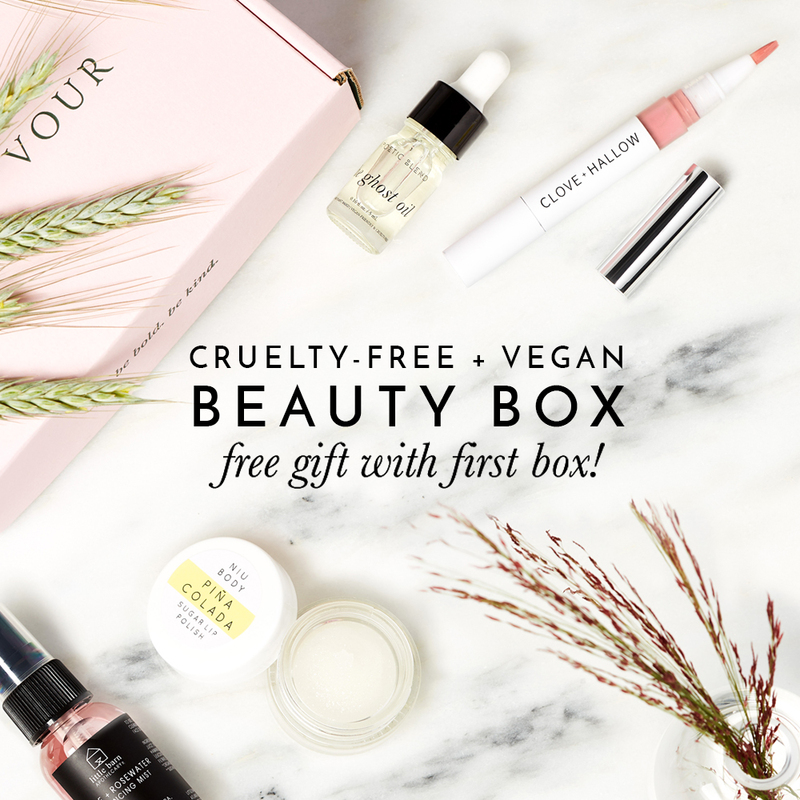 The Allure Beauty Box is also seriously legit, which is why I reviewed previous boxes here and here. Listen, I am no stranger to masks. You could even say I have a little, tiny, mask obsession problem. What can I say? I love a good mask! In fact, my post on the Peter Thomas Roth Mask Set has been one of my most read yet. I just love writing about things I truly believe in. So, I guess you could say I wasn’t really looking for another mask in my life. But, this one came to me like a thief in the night. It was a deluxe sample size in a lovely little set I bought when a Sephora opened right near my house #MotherShip. Of course, I had to try it … and #MindBlown! 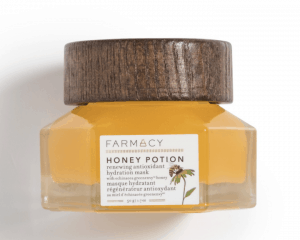 The honey potion mask turns white on application and has a slight warming effect on the skin. After ten minutes, you rinse it off and your skin is just glowing. I also notice my pores are a bit smaller, my signs of aging a bit softer and my skin feels smoother. It’s too legit to quit. I’m gonna need this mask in my life always. Anyway, I saw the Burt’s Bees beauty go up at Target and was skeptical. But, I also really like clean beauty. So, I tried it and was shocked! It has really great coverage and contains Noni Extract, which is a fantastic beauty oil that will get you results! I actually find that this BB cream is heavier coverage than I am used to! Very good for a BB cream! So, I do use a damp blender sponge to help it soak right into my skin. Voila! Skin like porcelain. Speaking of…I was so excited to find these alternatives to the infamous Beauty Blender sponge. After my daughter used my sponge as a chew toy, and I picked up the pieces of my broken heart, I knew I needed a more cost effective alternative. I just tried this set of 5 from Amazon on a whim – and a hope and a prayer that the reviews were honest – and let me tell you, they do not disappoint! You get 5 for around $10, which is half the price of one Beauty Blender! #Winning! I’m a huge fan of Honest. I’ve written about them before and probably will again. The reality is I love cost effective, clean products that work! So, when I ran out of my favorite Clinique Pep Start Eye Cream, which I love, I needed something quick. My Honest Beauty bundle was about to ship, so I just swapped out another product I didn’t need yet for this plumping eye cream. I love it! It’s slightly cooling, actually makes a noticeable difference, and doesn’t irritate my eyes are skin. Extra points for beneficial ingredients like chamomile, calendula, barbary fig and baobab fruit. This is one eye cream I won’t let myself run out of! I’ve been using Cargo blush for years. Nothing has ever compared. 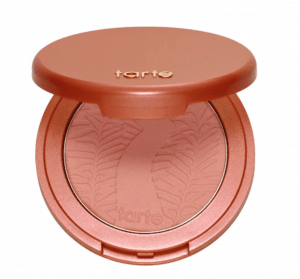 Then, this one came in a set of Tarte makeup and, being a big Tarte fan, I thought – why not. This blush rocks! Never cakey, always fresh and dewy looking, this blush gives you that – I just ran a mile, but didn’t sweat – look all day. Tired? Put on a little blush. Feeling sick? Put on a little blush. Too rushed to do a full face? Put on a little blush. Seriously, this blush perks you up and gives you a youthful glow with the most minimal effort ever. Big win. I wrote an entire post about how this La Roche Posay Toleriane Lotion makes my list of top 3 facial sunscreens. I just love it. I love the way it feels on my skin, the texture, the price, the ingredients, the packaging, I love it all. Because it doesn’t use a pump, it’s easy to travel with. Because it doesn’t use a screw top, you never have to chase the flying cap you launched across the bathroom while trying to put it back on with lotiony fingers. Oh, and I just grabbed this Toleriane Purifying Foaming Facial Cleanser and absolutely love it. It’s become my go-to morning cleanser. Saving a good one for last! We all know about the negative side effects of using deodorants with aluminum now, but the trick is finding a natural deodorant that actually works, goes on smoothly, doesn’t irritate sensitive skin, and doesn’t need to be reapplied! I actually started trying natural deo when pregnant with my son! I know, I know – trust me, it wasn’t an easy transition. But, I did find one that worked amazingly well and people would actually compliment me on my “perfume”, because the essential oils in it smelled like Hawaii! I’ve been on the hunt since then. I even started ordering as many as I could find in an effort to do market research for a post. I stopped when I got this one by Kopari. It’s the best I have ever tried. With their promotions, you can get the price down. 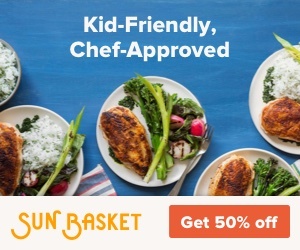 And, they send good coupons with your order that will help with future purchases. If you’re looking for a good one – try it and let me know what you think. Other alternatives that have worked would also be Native, which is pricier, but by far the most effective (and their marketing copy is absolutely brilliant). That’s all for today, folks! Have you tried any of these products? 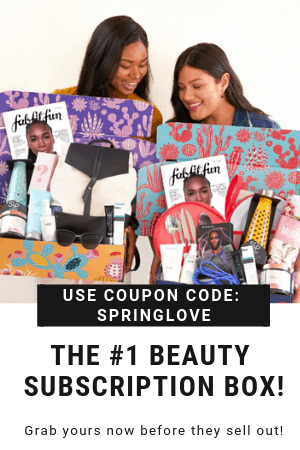 And, I have to know – what is YOUR favorite beauty buy from 2018? Tell me in the comments below! Oh, and don’t forget to come back for the next installment of best buys of 2018!